Nigerian music act turned fashion designer, Rugged man has debunk the speculation that he is dating Nollywood actress, Halima Abubakar. Rugged man who spoke in an interview with Encomium Magazine said he is currently in a relation but not with any entertainment personality. He said, “You see they always hook me with someone. The same way they hooked me with Maheeda because she wore my cloth for a photo shoot. Before, they said I was dating Maheeda but now it is Monalisa. I am not dating Halima Abubakar also. I have spoken about my relationship with her. We are not dating but trust me, I am in a relationship but not with someone in the industry. He also reveals he has a crush on Nollywood actress and mother of one, Monalisa Chinda. 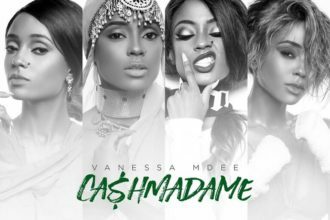 Vee Money is the Ultimate Cash Madame!